Window graphics include everything from window perf or window perforation to opaque window coverings and even custom printed blinds. 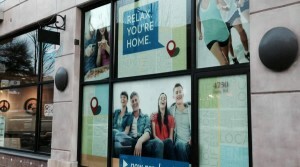 Everywhere in the big city, Window Graphics are making it big! It's certainly the new trend because it's cost effective, has great ROI and clearly works very well! It's hard not to see the advantages. We offer a huge array of materials in order to achieve your unique goals. From window Perf to Window Clings, removable - re-position able micro suction technology and many many more are available. 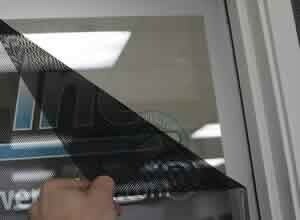 The Window Perf™ is a see-through graphic printed on mechanically perforated vinyl. It has an adhesive black background on one side, and a bright beautiful / vibrant digital print on the other. With this design, it allows you to see a bright beautiful print on the outside, and still be able to see through the window on the inside. The holes on this Perf cannot be seen when looking through the sunlight! 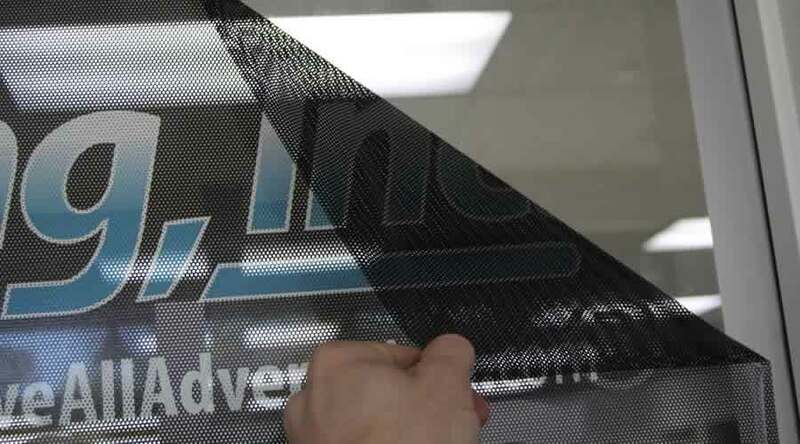 The Window Cling, along with our many other adhesive window graphic options offers a bright, full color print using the newest technology available. We utilize the very best substrates and equipment, allowing you to do just to your brand, activation, store and or promotion. Triton CUSTOM PRINTED ROLLER SHADES are some of newest products in our line up. These blinds are certainly making an impact on the marketing world! Utilizing our state of the art equipment, we are able to print on just about any surface using specially formulated inks and print applications. That means the sky is the limit with these blinds - you can get just about anything you want printed on these blinds! Our blinds serve as a unique way to deliver your message in way an excellent way by utilizing the interior real estate you already pay for all while giving your customers a better in store experience. We are also able to provide custom printed blinds with no particular message but rather custom solid colors or images to create a specific environment / look / feel and ambiance. Our system offers a smooth and dependable operating system, to lift and decline the blinds at any time.